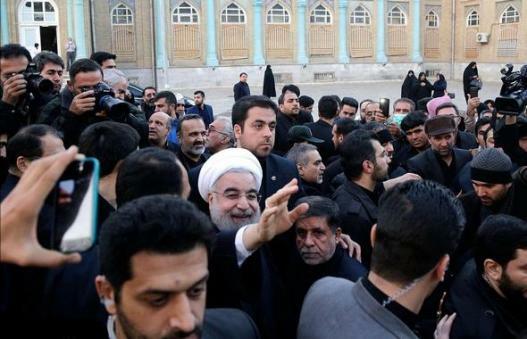 A presidential race in Iran that began with six candidates is now narrowed down to two main candidates: the moderate President Hassan Rouhani and the hardliner Ebrahim Raisi. 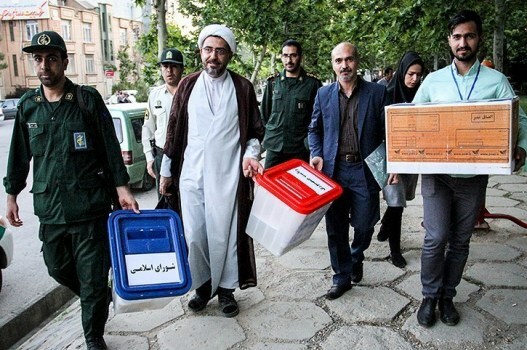 On Friday 19 May, the voting stations across Iran open their doors to voters who will choose Iran’s next president as well as their local City and Village councils. The voting for the 12th Iranian presidential elections has already began in the country’s embassies and consulates in Australia, New Zealand and Malaysia – where many Iranian immigrants reside. 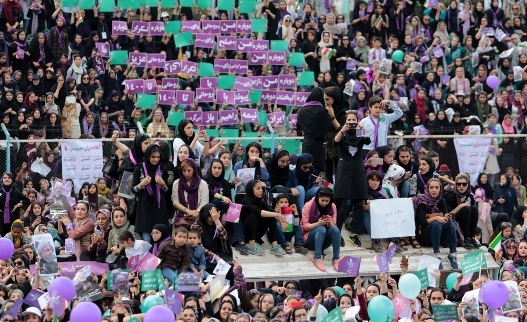 Those voting outside of Iran can only cast ballots for the presidential election. Mohammad Bagher Ghalibaf, a former Revolutionary Guards commander and now Tehran’s mayor was running a campaign closer to the conservative camp. He dropped out of the race last week to endorse Ebrahim Raisi. Raisi and Ghalibaf have been attacking the current government domestically on grounds of corruption, poverty, issues of the youth, unemployment rates and the economic hardships that the Iranian citizens have been enduring in the past four years. The hardliner camp has also been critical of the 2015 nuclear deal between Iran and the world powers arguing that it has not manifested in real changes domestically, it has not attracted foreign investment and has limited Iran’s power in the international sphere. Rouhani’s vice-president Eshaq Jahangiri has also dropped out of the race in favor of Rouhani. he was instrumental during presidential debates by raising the demand of the more radical reformist and moderate dissidents. Jahangiri became the voice of those political figures that have been pushed to the sidelines ever since the 2009 disputed presidential election. Mostafa Mir-Salim, a former minister of culture and a conservative hardliner has also withdrawn out of the race in favor of Raisi. Mostafa Hashemi-Taba, a centrist close to former late president Akbar Hashemi has stayed in the race but various polls show that he has less than 1% of the votes. IPPO poll conducted via phone has been forecasting election results as of 17 May; that is two days before the presidential election. IPPO estimates that on Election Day Hassan Rouhani has 95% chance to secure 59% to 67% of the votes. Similarly, IPPO estimates that Ebrahim Raisi has a 95% chance to obtain 28% to 36% of the votes on 19 May. IPPO estimates a 73% voter turnout. The 68-year-old president Hassan Rouhani is seeking re-election. He started in 2013 as a centrist trying to attract the votes of Iranian dissidents disappointed at Mahmoud Ahmadinejad’s eight year rule. The Rouhani of 2017 however is closer to the reformists of Iran. During campaigns he has lashed out at the hardliners many times, seeking citizen rights, women rights, minority rights an the demands of the reformists and their supporters to let their leaders go free from house arrest. Mir Hossein Mousavi and Mehdi Karroubi Iranian opposition leaders have been under house arrest since 2011 and their freedom has become a demand in this election. Rouhani is running a campaign capitalizing on the 2015 nuclear deal and the economic promises of the deal. Rouhani says he needs four more years to attend to those promises for the outcomes to flourish into economic prosperity. The 57-year-old Ebrahim Raisi is a hardliner judge and jurist who is currently the custodian of the “Imam Reza” shrine in Mashhad – a wealthy charity institution that is built around the shrine of the 8th Imam commonly known as Astan-e Quds-e Razavi. The institution he leads does not pay taxes despite being the country’s wealthiest organization. The topic of taxation and religious tax exemption has as such become a central debate in this election. Prior to 2016 and getting appointed to the shrine of the 8th Imam by Ayatollah Khamenei, the Iranian leader, he has always served in high ranking positions in the Judiciary. 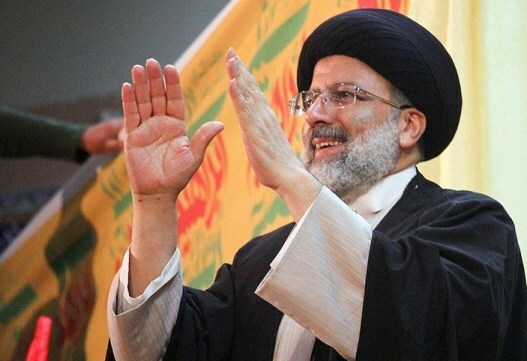 Raisi was at one point the attorney general, Tehran prosecutor and head of the special court for clerics. In the 1980s he was a member of what is commonly known in Iran as the death commission, who were given an order by Ayatollah Khamenei to execute more than 4000 political prisoners in Iran. Raisi’s involvement in the killing of political prisoners in Iran was never brought up during presidential debates but it is an unofficial debate in Farsi speaking social media. Raisi ran a populist campaign. Photos of him visiting the poor and meeting up with a popular banned R&B artist Amir Tataloo have been widely distributed. He is hitting Rouhani where the current government has preformed the weakest: economic issues. Prior to the presidential race there were rumors spreading among political circles in Iran that Ebrahim Raisi could be the next supreme leader in Iran. No matter how the race for succession plays out, Raisi’s father in law is Ahmad Alam Alhoda who is a member of the Assembly of Experts which will choose Iran’s next leader should Khamenei die. Ayatollah Seyyed Ali Khamenei, the Islamic Republic leader has called for maximum participation on Election Day. On the May 17th speech however, the leader did not criticize the Rouhani administration. In the one month campaign period, Khamenei did manage to rail against the current government a number of times. Including on 7th of May when he attacked Hassan Rouhani for supporting a UNESCO education agreement that the leader said is against Islamic teachings. UNESCO 2030 was relevant in this election because the hardliners used this agreement to attack Rouhani. UNESCO 2030 is an agenda for countries to work together to sustain education for all genders and marginalized groups from all ethnic and religious backgrounds. UNESCO 2030 promise of gender equality and fight for discrimination against minorities, particularly angered the Iranian hardliners.